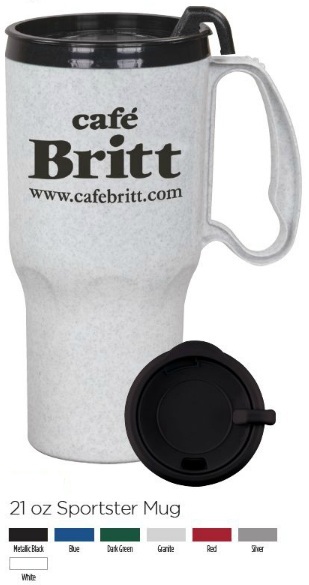 For those on the go, give them Insulated Auto Travel Mugs with your custom imprint to remind them of you. As classic as the fabled Route 66, the 16 ounce Roadster is the promotional traveler mug that never goes out of style. It features a contoured design allowing it to fit in most cup holders. The Roadster also offers a double wall, BPA Free construction, with a durable handle and spill resistant slide and lock lid. This American Made mug is the ideal traveler mug for a cross country trip or the morning commute. Convenience stores and coffee shops frequently use the Roadster to promote customer loyalty, providing discounts on refills. The price point allows the mug to be considered for giveaways, and it works well for corporate stores or school bookstores. 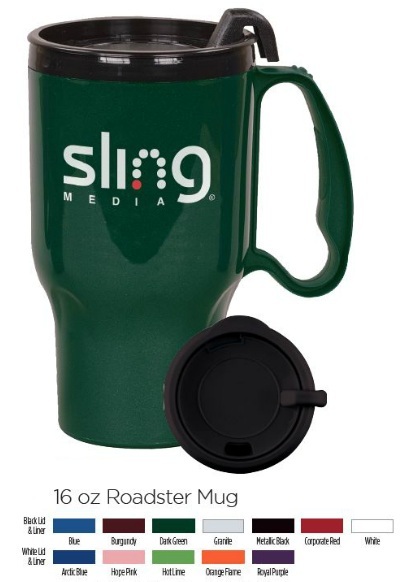 The Roadster’s perfect fit into most cup holders makes this the mug for car dealerships or automotive repair shops to give to patrons. A big brother to the 16 ounce Roadster Mug, this 21 oz Sportster Mug is perfect for keeping coffee warm on a long commute to work or ice water on a long road trip. It features double wall construction with a durable handle and spill resistant slide and lock lid. Convenience stores and coffee shops frequently use the Sportster to promote customer loyalty, providing discounts on refills. This mug works well for everything car dealerships to school bookstores. We also offer Travel Tumblers too.